IRVINE, CA – Racer Media & Marketing, Inc., publishers of RACER magazine and RACER.com, and USA TODAY Sports Media Group have aligned with sports car sanctioning body IMSA to produce and distribute original sports car racing content to audiences across the USA TODAY Sports Media Group platform. As a result, RACER’s authoritative and respected coverage of the IMSA WeatherTech SportsCar Championship is positioned to reach a broader cross-section of mainstream sports and general motorsports audiences. USA TODAY NETWORK reaches 125 million digital consumers each month, with 52 million unique visitors consuming sports content, making it the fourth largest digital sports network in the United States. Of these readers, eight million identify as motorsports fans. RACER.com is America’s number one digital motorsports media platform, averaging 2.3 million page views per month, while RACER magazine enjoys a combined print and digital circulation over 33,000. RACER Studio produces authentic, original native content for many leading automotive brands and sanctioning bodies including the upcoming 2018 IMSA WeatherTech SportsCar Championship season preview as part of the December 2017/Winter issue of RACER. 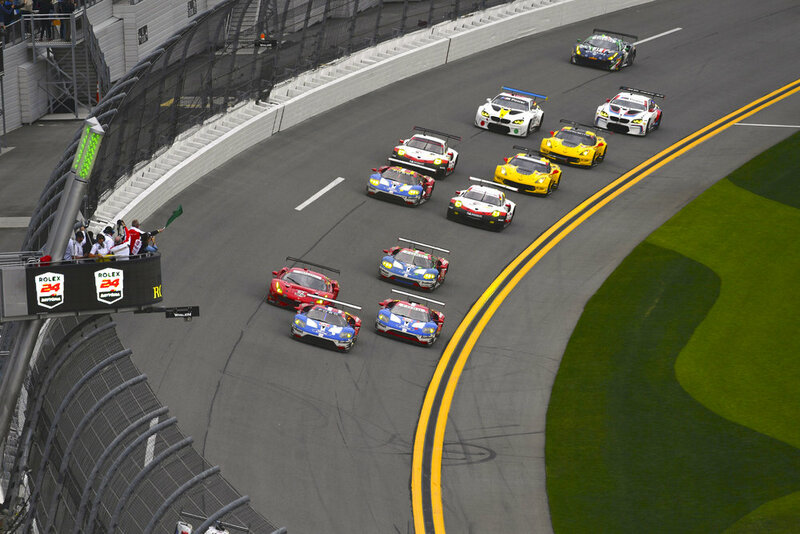 IMSA sits on the cusp of another epoch of growth and quality. It was recently announced that Team Penske has joined forces with Acura for the 2018 season with Helio Castroneves and Juan Pablo Montoya headlining their driver line-up. Former World Champion Fernando Alonso last month announced he will drive in the Rolex 24 At Daytona in the United Autosports entry. Finally, there are 17 manufacturers in the series, many of which are the most storied automotive brands in the world. The alignment also creates the opportunity for IMSA-partners and others to develop compelling native content initiatives to ride the momentum of editorially-driven content with brand-specific stories that can reach a new and lucrative audience. Over the past several years, RACER has executed content projects for IMSA as well as BMW, Cadillac, Chevrolet, Continental Tire, Mazda and Porsche, all IMSA participants. For more information on developing content or media opportunities as result of this alignment, please contact Matt Moran, Director of Sports Marketing for USA TODAY (mmoran@usatoday.com), Paul Pfanner, President & CEO of RACER (paul.pfanner@racer.com) or Rich Merrill (rmerrill@imsa.com). The USA TODAY Sports Media Group encompasses all sports initiatives across USA TODAY Sports and Gannett's more than 100 well-known local media brands. It also includes the sports photography wire service USA TODAY Sports Images; leading high school sports destination USA TODAY High School Sports; the social news hub For The Win, and the hundreds of sites within USA TODAY Sports Digital Properties such as TheBigLead.com and mixed martial arts site MMAJunkie.com, among others. USA TODAY is owned by Gannett Co., Inc. (NYSE: GCI).